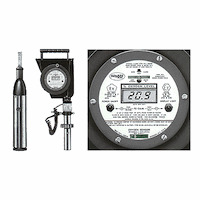 Ideally suited for personal monitoring applications, the Dräger Pac 5500 provides quick detection of carbon monoxide, hydrogen sulfide or oxygen. 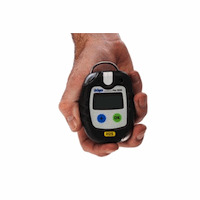 Accurate, reliable and easy to use, this small, ergonomic instrument has no lifetime limitation. A palm sized, lightweight 4 gas monitor, simultaneously monitoring LEL, O2, H2S, and CO. It weighs only 4 ounces and fits comfortably in the palm of your hand. 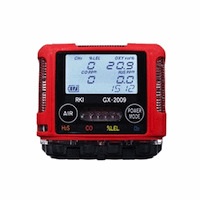 The MMC Flexi-Dip Oxygen Sensor Gauging Tape is a battery-operated electronic system featuring the latest in solid-state circuitry and an easy-to-view LCD readout panel.